Ukraine's only submarine, the Zaporizhia, has successfully made its first dive and is ready to continue performance trials, according to the naval command. "The trial dive of the vessel has been successful. 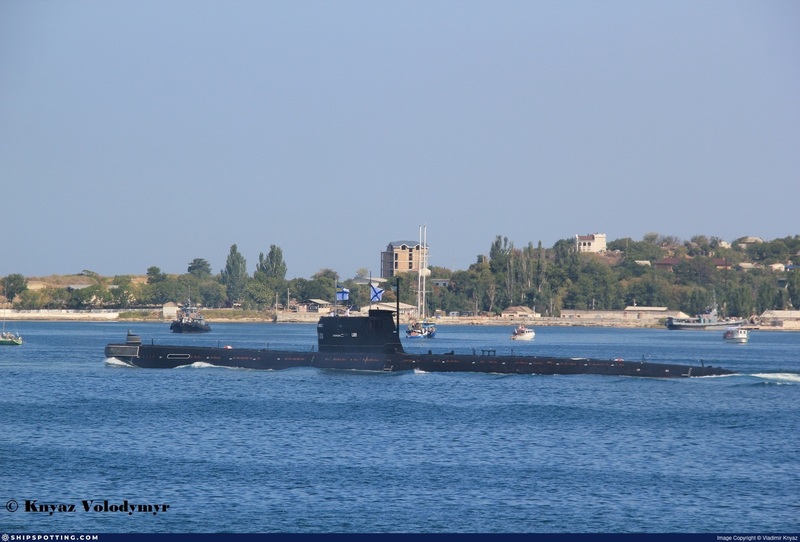 According to a special commission, the submarine is completely controllable, which is the most important thing," the acting commander of the Ukrainian Navy, Vice Admiral Yuriy Ilyin said after the test dive in Sevastopol on Wednesday. The sea trials will last for three days. "We do not doubt that the sea trials of the Zaporizhia submarine will be successful and the submarine will enter the fleet," Ilyin said. 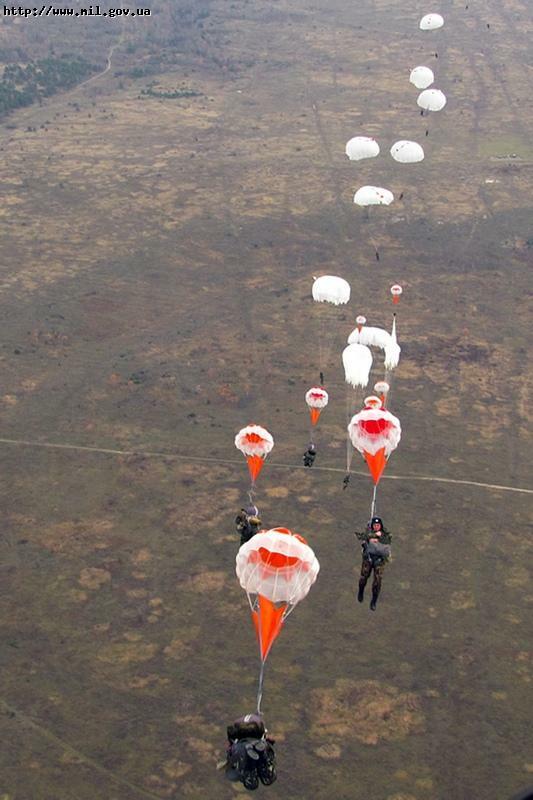 As reported, on April 25 this year, the Zaporizhia started its first stage of testing. 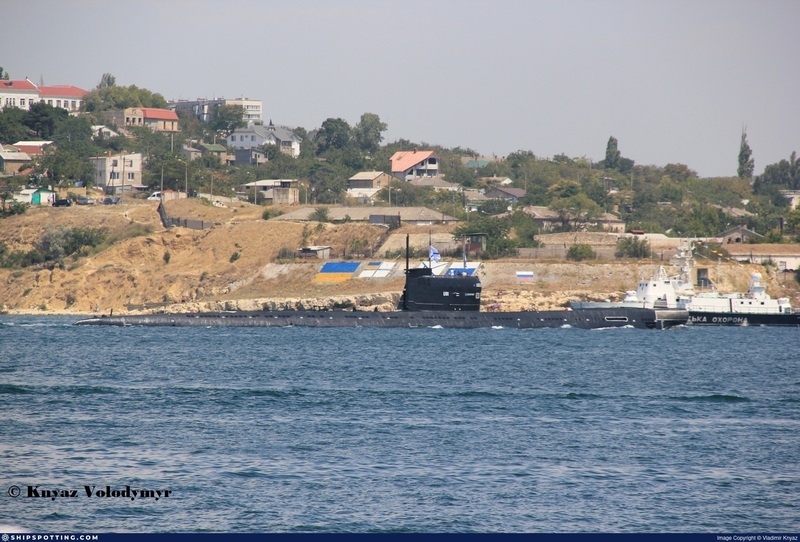 Besides, the submarine took part in the Russian-Ukrainian joint naval drills, the Farvater Mira 2012 (Fairway of Peace), in Sevastopol. The diesel-electric submarine became a unit of the Armed Forces of Ukraine in 1997 after the division of the Black Sea Fleet of the former Soviet Union. Si ils remettent ca en service, c'est qu'ils ont un programme de développement de la composante sous-marine de leur Navy dans le futur ... quelqu'un a un article dans ce sens ? Konotop-based state enterprise Aviakon aircraft repair plant (Sumy region) plans in the near future jointly with French-based Sagem to start the modernization of a Mi-24 helicopter of the Armed Forces of Ukraine, the plant has told Interfax-Ukraine. The Mi-24PU1 helicopter put into service in May 2012 after the first stage of modernization with the participation of the Ukrainian defense and industrial complex has passed summer test flights and is ready for the installation of Sagem equipment. 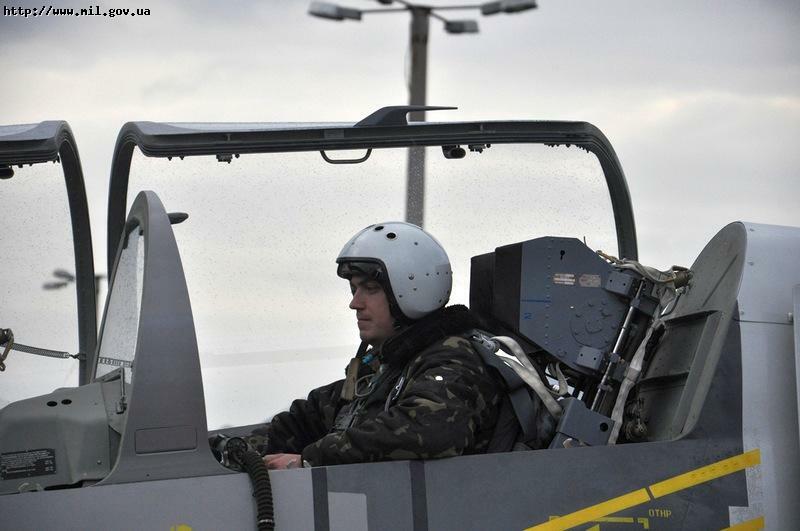 The Ukrainian side will equip the helicopter with domestic digital sights, equipment for night use, a laser target designation system, new engines, a VHF radio unit, and a system for protection against missiles with IR guidance. The French company will install an on-board computer, multifunction displays, an optoelectronic station, an inertial-satellite navigation system, and a digital map generator. The French equipment will be installed on the first prototype of the modernized helicopter for ground tests with the involvement of specialists from Sagem. "The installation of modern equipment brings the upgraded Mi-24 helicopters up to NATO standards: certain units of French equipment have been successfully installed on Western models, particularly Cougar and NH90 helicopters," said the company. The modernized Mi-24 is to be demonstrated at the 8th AVIASVIT-XXI International Aerospace Show, which opens at Kyiv-Antonov airport (Kyiv region) on September 27. 14:42 GMT, July 25, 2012 KYIV | The Ukrainian Armed Forces have put into service the modern Ukrainian armored personnel carrier BTR-4E under the Order of the Ukrainian Defense Minister Dmytro Salamatin. Kharkiv Morozov Machine Building Design Bureau in cooperation with national defense enterprises has designed and manufactured BTR-4E. 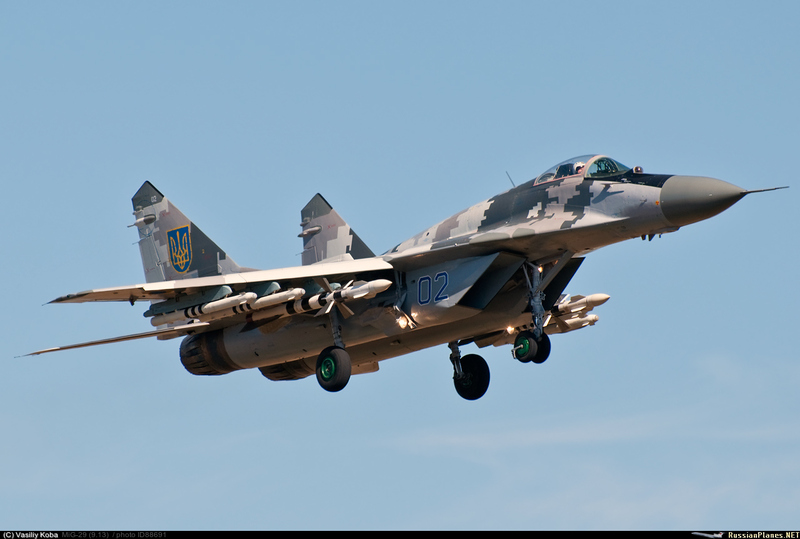 The Ukrainian Armed Forces got a new up-to-date weapon system technically comparable with its foreign analogues, while its fire potential is even better. Mass production of this vehicle will help Ukraine to take the leading positions in the world market of light armor wheeled vehicles. 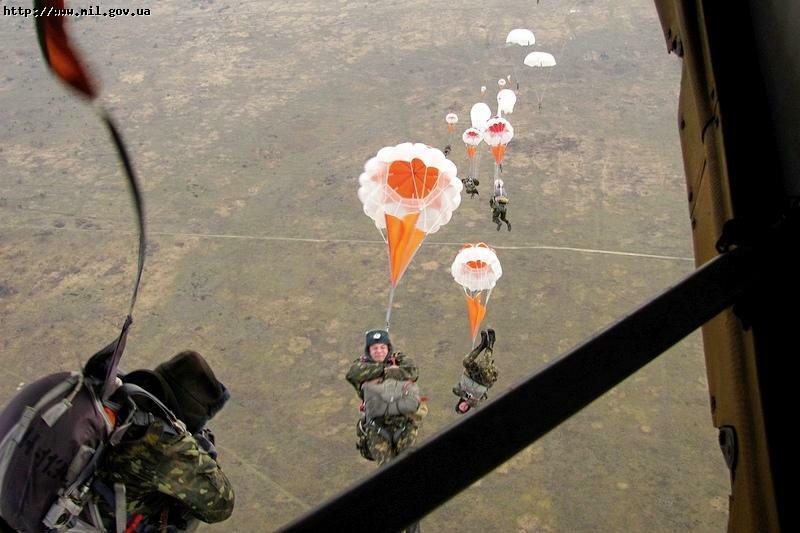 “Our national designers and Ministry of Defense specialists did a lot of job. We have developed a completely new system, breaking classical traditions of tank building. 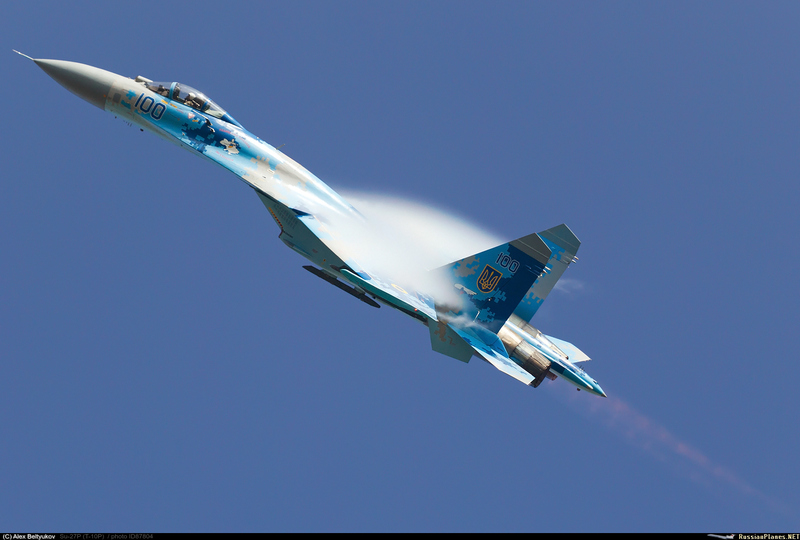 It’s a basis for future development of different modifications of this armament,” Andriy Artyushenko, Director of Department of Development and Acquisition of Armament and Military Equipment, commented. He mentioned that BTR-4E armament included 30-mm automatic gun ZTM-1, antitank missile, grenade launcher KBA-117, machine-gun, and other armament manufactured by Ukrainian enterprises. This armament is integrated in a single system of fire control. 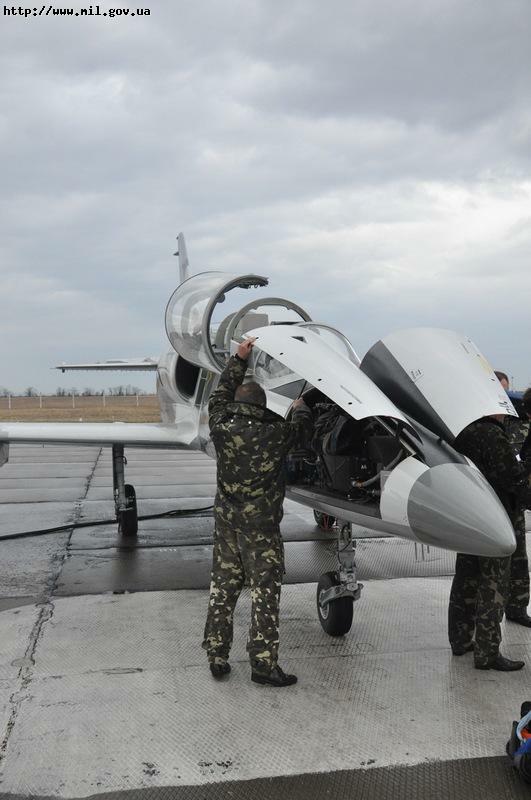 “This vehicle proves capabilities of Ukraine to be a manufacturer of high technological and knowledge-based product and ensures possibility to activate defense industries, as well as create additional employment,” Dmytro Salamatin said. According to the Ukrainian Defense Minister, thanks to BTR-4E Ukraine shall not import these vehicles and even may export them to world markets augmenting the state budget. Military Naval Forces of Ukraine and the Black Sea Fleet of Russia marines march with Ukrainian and Russian national flags during the celebration of the Black Sea Fleet in Sevastopol, Sunday, July 29, 2012. This year, the day of Russian Black Sea Fleet and Naval Forces of Ukraine is celebrated on the same day. Divers of Military Naval Forces of Ukraine and the Black Sea Fleet of Russia march during the celebration of the Black Sea Fleet in Sevastopol, Sunday, July 29, 2012. 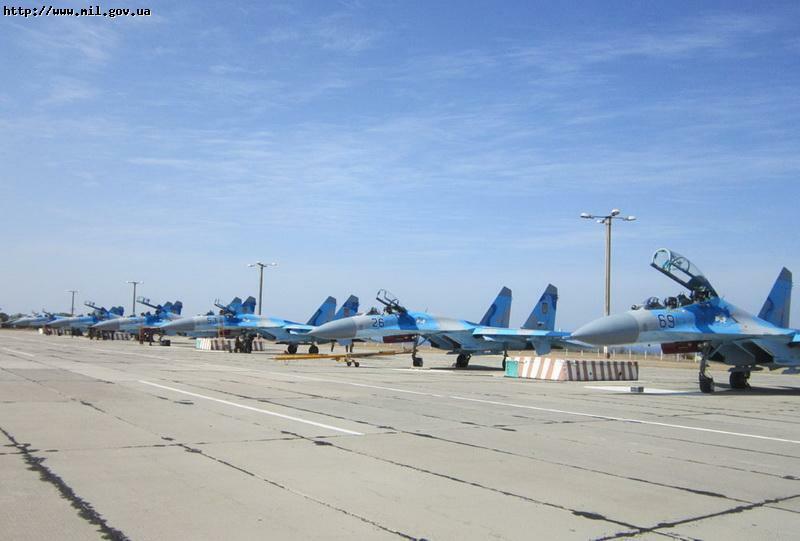 This year, the day of Russian Black Sea Fleet and Naval Forces of Ukraine is celebrated on the same day. People watch Russian navy destroyer Smetlivy during a parade to celebrate Navy Day in the Crimean port of Sevastopol July 29, 2012. Russian marines take part in a military show to celebrate Navy Day at Finland Gulf in St. Petersburg July 29, 2012. Russian marines fire a canon at Finland Gulf during a military show to celebrate Navy Day in St. Petersburg July 29, 2012. 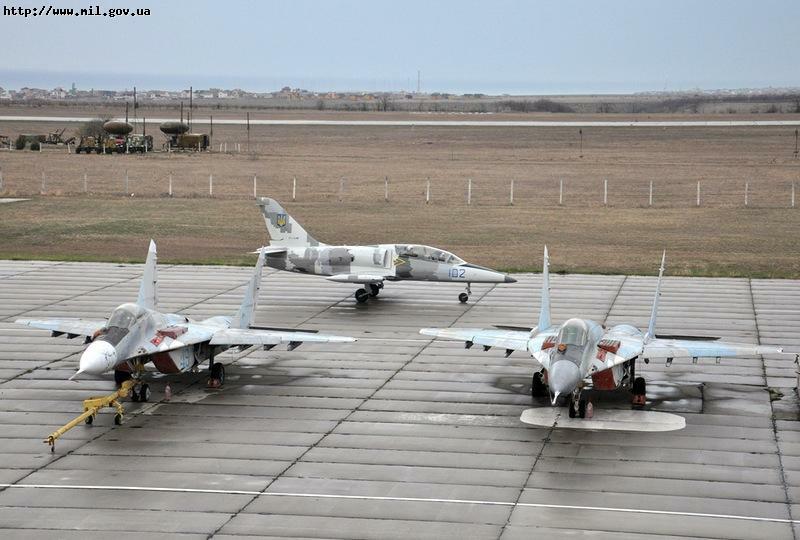 Ukrainian Air Force trains in Crimea. An upgraded Antonov An-70 propfan tactical transport aircraft carried out a test flight on Thursday after a two-year delay, the company's president Dmytro Kyva announced. 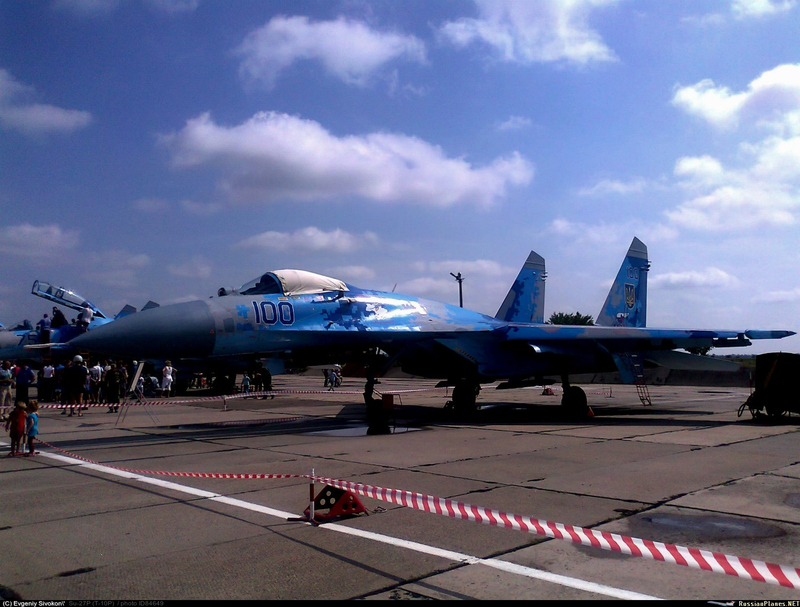 He said the 32-minute flight at Ukraine's Aviasvit-XXI international airshow had been a success, and called this "the main event of the airshow." 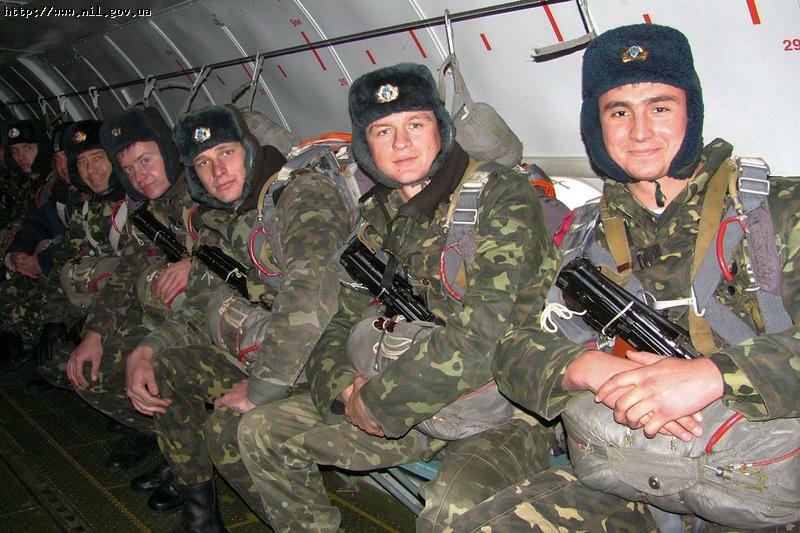 Test flights were suspended for two years as the An-70 underwent vital modernization work following a number of technical malfunctions in previous flights. 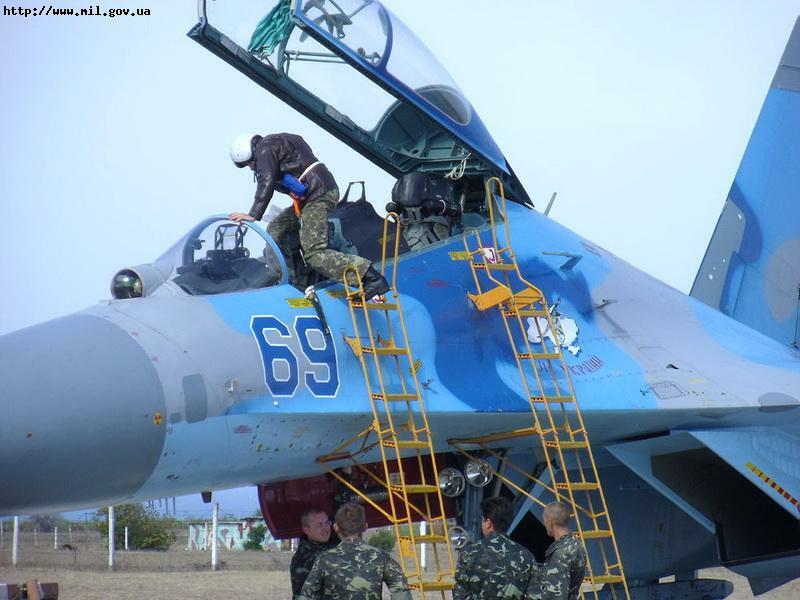 The Ukrainian-designed An-70, built jointly with Russia, has had a long-running and troubled gestation period, with one prototype crashing in a collision in the 1990s, and a second crashing in 2001 in an accident during take-off in Omsk. It also had a history of problems related to its propfan engines. 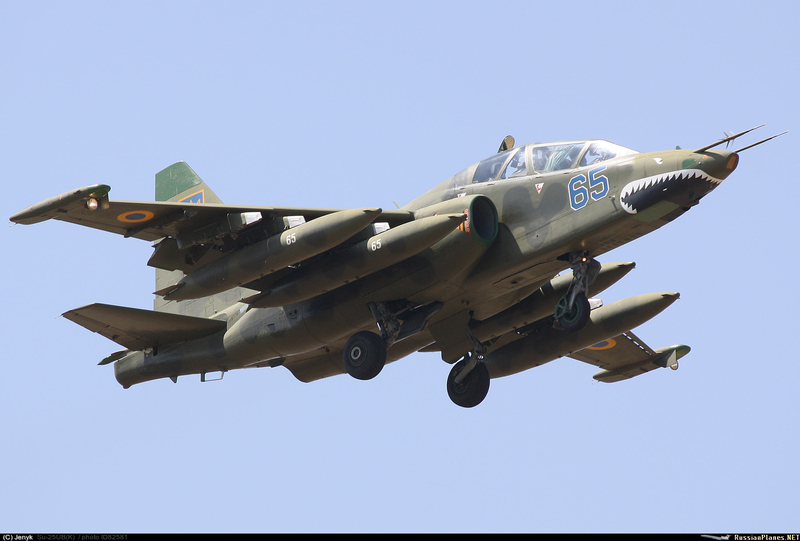 Kyva said that the company had received orders for two planes from Ukraine’s Defense Ministry, and that they would also supply them to Russia. 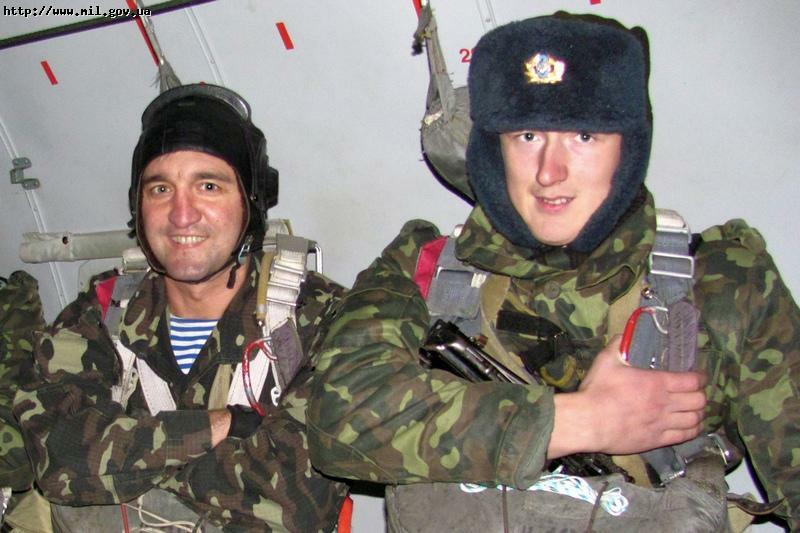 Russia withdrew from the project in 2006, and Russian Air Force commander Vladimir Mikhailov was quoted as saying that it had no need for the aircraft and would prefer the modernized Il-76, but later rejoined the program. 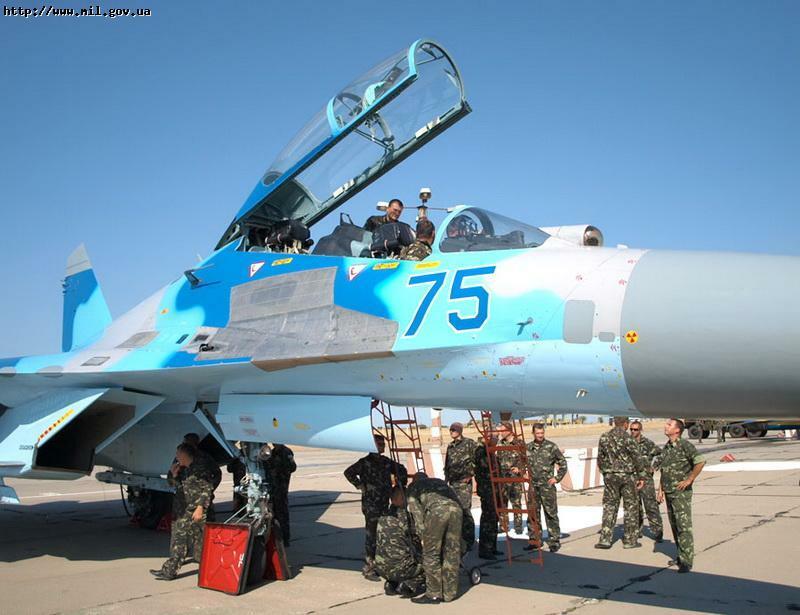 The Russian military is on record as planning to purchase at least 60 An-70s by 2020. 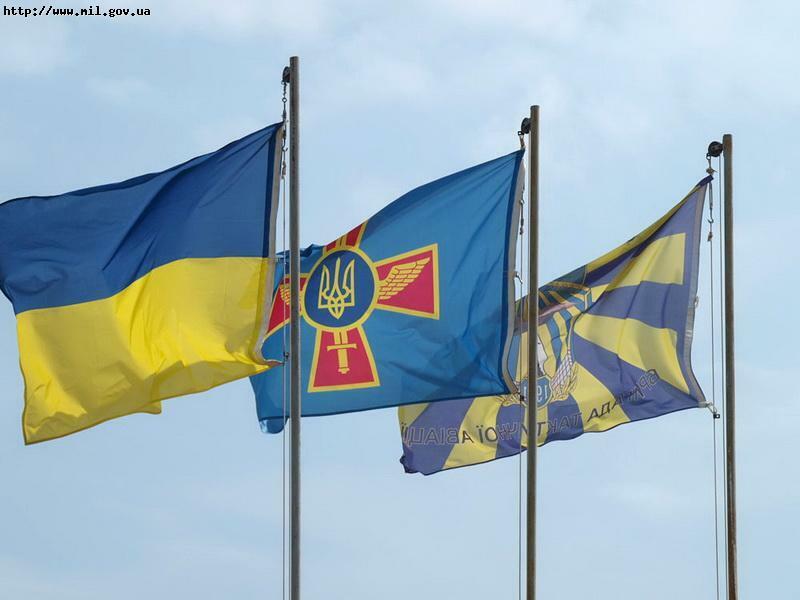 Ukraine's Defense Ministry will need a $2.85 billion budget for 2013, Deputy Defense Minister Volodymyr Mozharovskiy said on Friday. This is 1.35% of GDP, he added. Most of the budget will go toward the organization and maintenance of the armed forces (71.8 percent), the development of arms and military equipment (21.3 percent) and military training programs (6.9 percent), he said. Three of the most prominent Ukrainian missile and electronics companies have agreed to develop a new dual-mode active/passive radar-homing air-to-air missile (AAM) seeker. 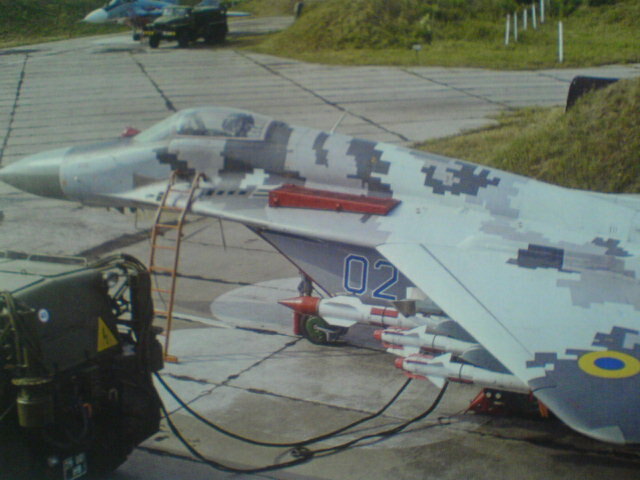 This guidance package is not for a new missile programme, but would instead be retrofitted to existing models of the Vympel R-27 (AA-10 Alamo A/C/E/F) AAMs. The seeker will not be presented as an alternative to nations looking to purchase the Russian-made RVV-AE (AA-12) active-homing AAM, "and is not an initiative to displace Russia in its traditional markets", according to representatives of these companies who spoke with IHS Jane's during the AviaSvit Ukraine National Aerospace Exhibition at the Gostomel aerodrome near Kiev. Instead, state Ukrainian engineers and marketing executives familiar with this design proposal said that this seeker will be offered as an upgrade option to those nations that have a substantial number of the R-27R/ER AAMs equipped with the older-generation AGAT 9B-1101K semi-active homing seeker, and/or R-27P/EP models fitted with the Avtomatika 9B-1032 passive, anti-radiation seeker still in their inventory. 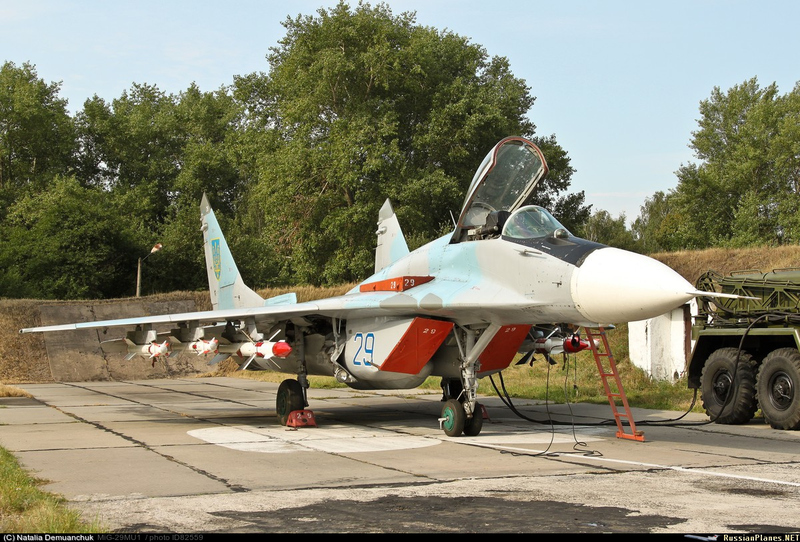 The semi-active guided variant of the R-27 was widely exported to almost every nation that currently has MiG-29, Su-27/Su-30-series, or other Russian-designed fighter aircraft as part of their air force order of battle. The Ukrainian navy has restarted special training for dolphins and other animals for military duties including attacking enemy combat swimmers and detecting mines, a military source in the Ukrainian naval port of Sevastopol told RIA Novosti on Thursday. “Ten dolphins are now being trained for special tasks in the Ukrainian state oceanarium, and the Ukrainian military are regularly training the animals for detecting things on the seabed,” the source said. Dolphins were trained at Sevastopol for the Soviet Navy as far back as 1973. They were trained to find military equipment such as sea mines on the seabed as well as attacking divers and even carrying explosives on their heads to plant on enemy ships. 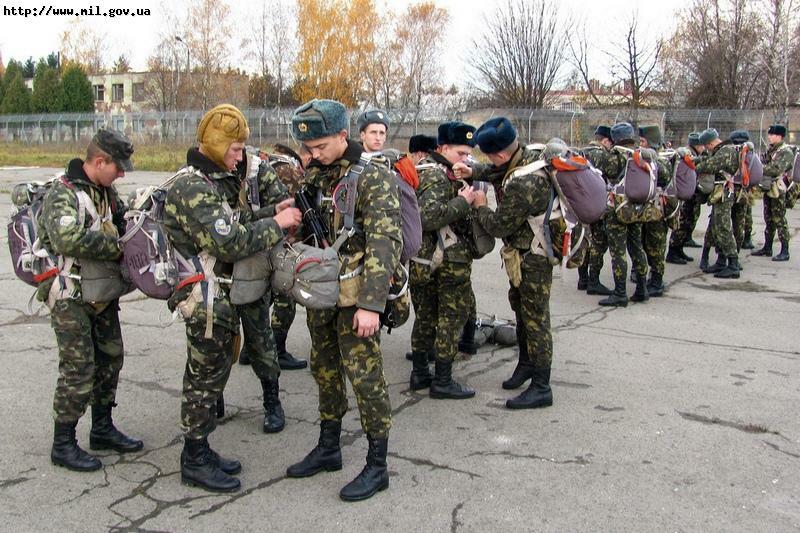 After the breakup of the USSR and division of the Black Sea Fleet into Ukrainian and Russian fleets, the dolphin training section and its specialists were given to the Ukrainian Navy. They were then used for civilian tasks such as working with disabled children, in order to keep the unit intact. The killer-dolphins will be trained to attack enemy combat swimmers using special knives or pistols fixed to their heads, the source said. “We are now planning training exercises for counter-combat swimmer tasks in order to defend ships in port and on raids,” he said. Their tasks also include patrolling stretches of water and detecting items of military interest and then marking them by attaching floating buoys. Several exercises have already been carried out this year with the dolphins in finding underwater weapons, both in the aquarium and outside it. 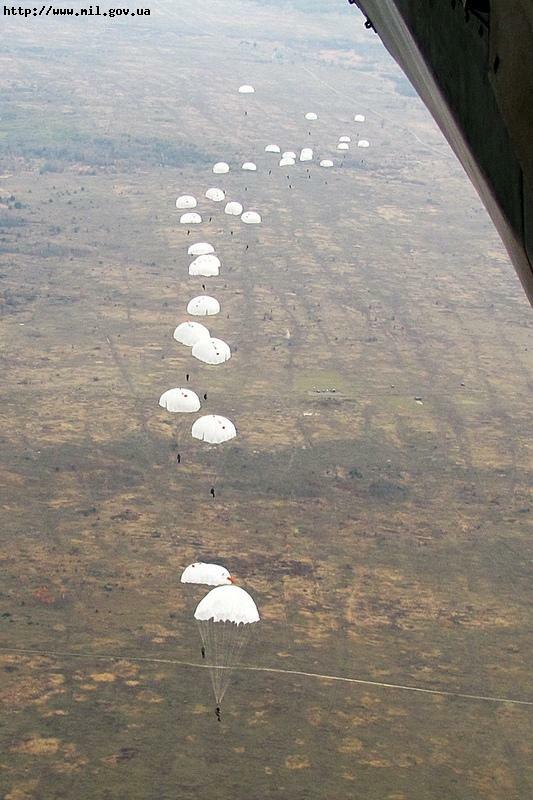 “The mission was successfully carried out. Our dolphins found the items and attached devices to them which were fixed on their heads, after which a buoy on it was sent to the surface to mark it,” the source said. The Ukrainian dolphin base is one of only two in the world, the other being in San Diego, California. 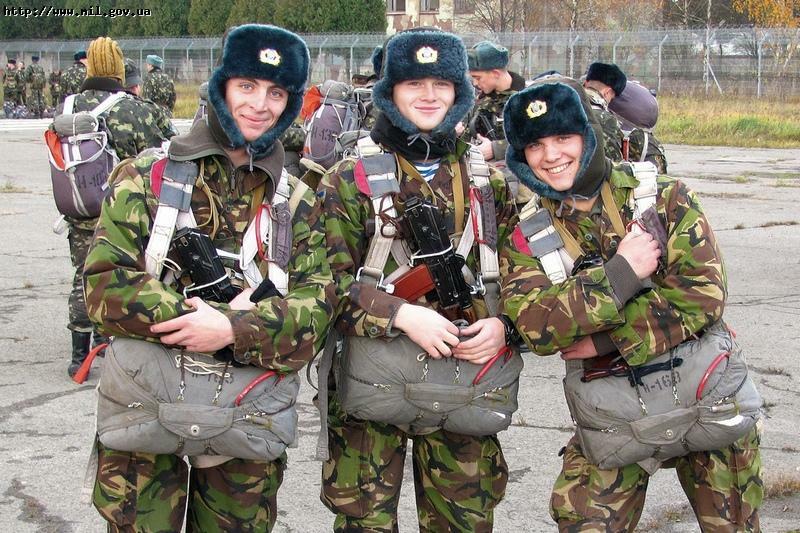 There is no information on whether the Russian Navy has a similar unit. 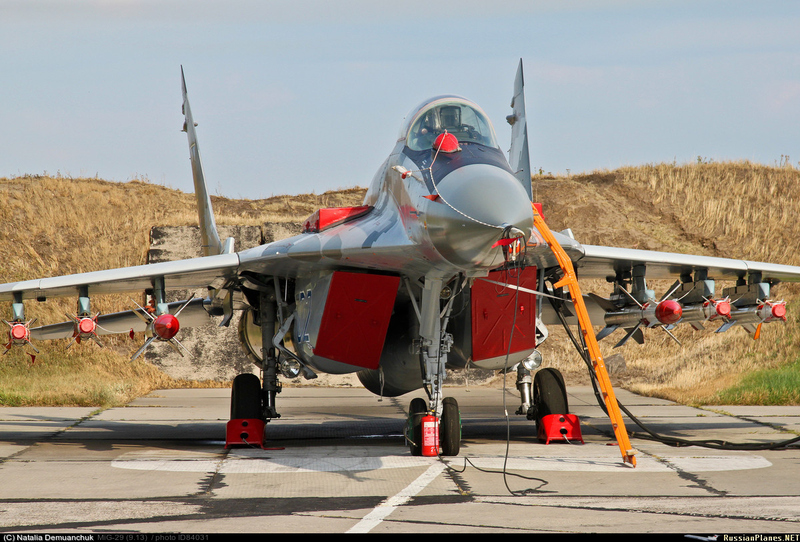 Encore 1 photo du nouveau Mig-29MU1 "02", juste pour montrer les nouveaux missiles R-27ER1 (Alamo) & Gran (=Archer) construits par la firme locale Artem. Pour toi, pas d'espoir... Pour moi, pas de regret. Ukrainian gas turbine maker Motor Sich plans to produce its own six-ton class medical evacuation helicopter within five years, the company's Deputy General Director Vladimir Semyonov said on Wednesday. If the project goes ahead it will be the first break into helicopter production for Motor Sich, and the first time Ukraine has produced a large helicopter. "The helicopter, which will have a take-off weight of six to seven tons, will appear we hope in about two to four years, at most five. 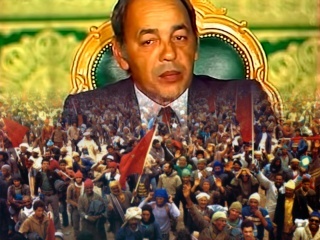 It will be of all-Ukrainian production," he said. The machine will be larger than the Soviet-era Mil Mi-2 but smaller than the Mi-8, he added. 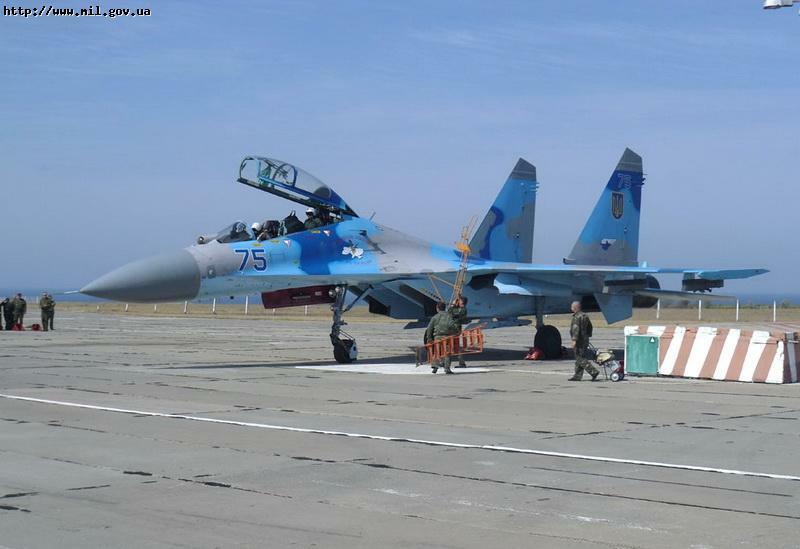 "This niche is the most in demand, and is needed by the Ukrainian Defense Ministry, Emergencies Ministry and other agencies. Motor Sich currently produces gas turbine engines and turboshafts for Russia's Mil Mi-17 and Kamov Ka-226 helicopters and Antonov An-70, An-124 and An-140 transport aircraft, as well as the Yak-130 jet trainer. 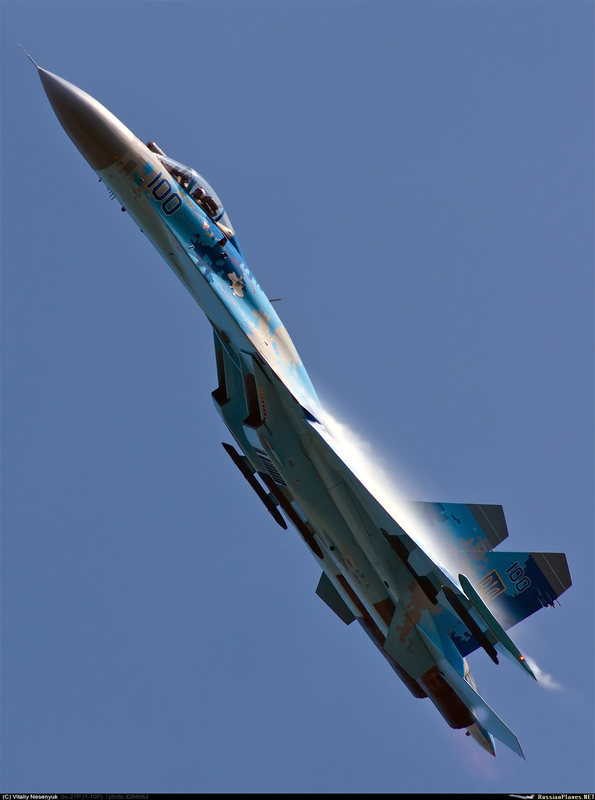 It produces components for 95 percent of Russia's aircraft engines. 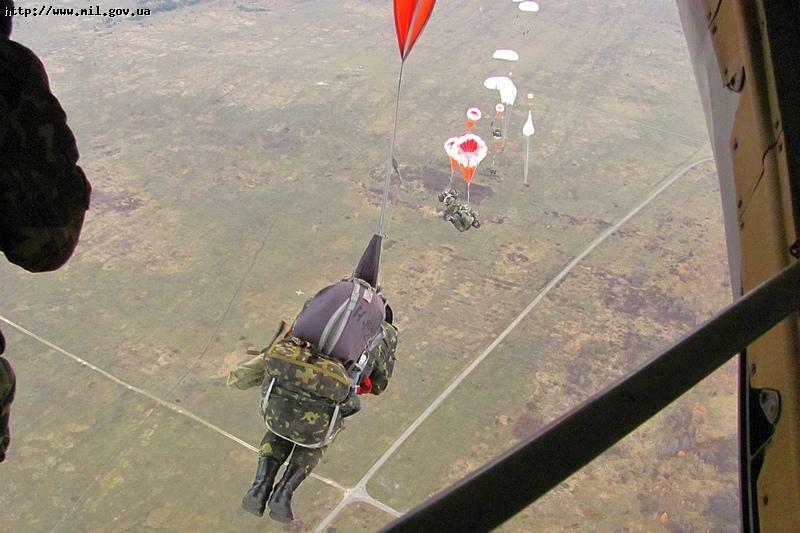 The personnel of HetmanPetroSahaidachnyi Ukrainian LandForcesAcademy accomplish over 300 parachute jumps from An-26 at the International Peacekeeping and Security Center. 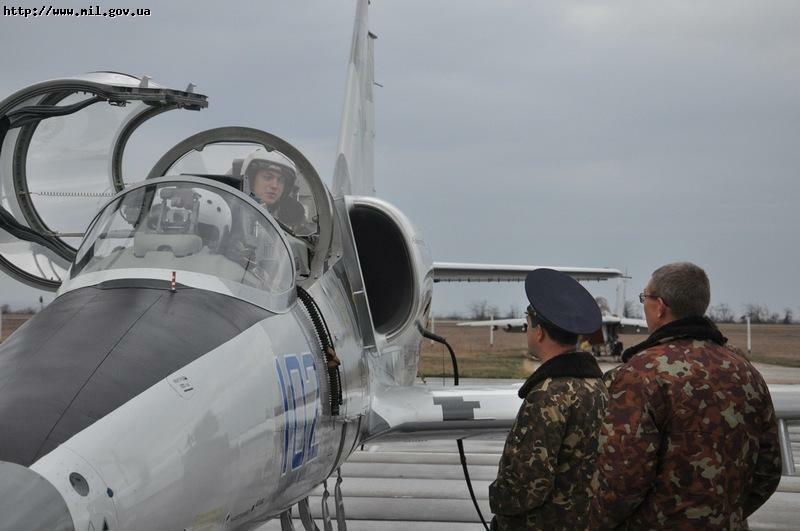 Last week 204th Tactical Aviation Brigade got two modernized L-39 Albatros repaired at SE ‘Odessa Air Repair Enterprise “Odesaviaremservice”.